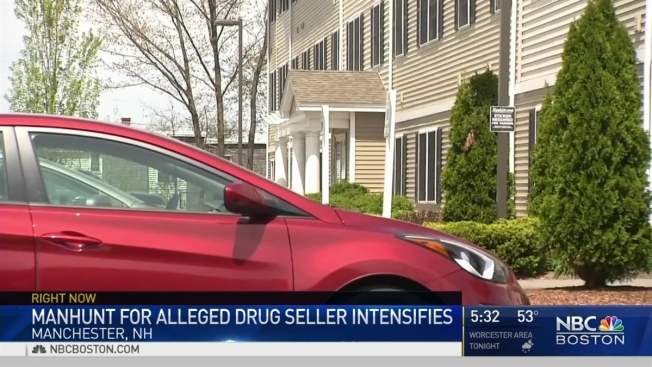 A man wanted for introducing the potentially lethal drug Carfentanil to the streets of Manchester, New Hampshire, was arrested Friday following a national manhunt. Preston Thorpe, 24, of Manchester, was arrested around 1 p.m. at a Best Western Hotel on South Willow Street after an anonymous caller provided police with information about his location. He was taken into custody without incident. Thorpe is charged with possession of the controlled drug Carfentanil based on an arrest warrant issued earlier this week. He is also charged with a parole violation. He is expected to appear in court in Manchester on Monday. A nationwide extraditable arrest warrant charging Thorpe with possession of Carfentanil was issued this week after a raid by federal and local police on Tuesday found his apartment cleaned out. Authorities were in full hazmat gear, prepared to encounter Carfentanil. The drug is an elephant tranquilizer so powerful that it can cause an overdose just by contact with human skin. The powerful synthetic drug has already been linked to more than 30 overdoses and three deaths in New Hampshire.